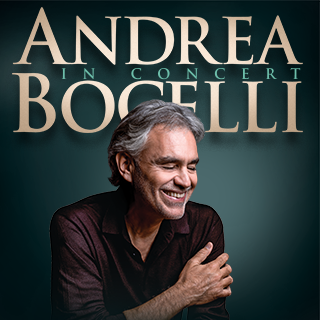 March 20, 2019—New York, NY – Legendary tenor Andrea Bocelli announced today his December 2019 tour, kicking off in San Francisco, California, with additional stops in Las Vegas, San Diego, San Antonio, Houston, Columbus, Washington, D.C. and New York City. . The December 2019 tour brings Bocelli to San Antonio, Texas for his first arena performance set at the AT&T Center.